Due to the unprecedented weather in SA over the last few days, National Parks South Australia have advised that Para Wirra Park will again be closed today. This has lead to AREG making the decision to cancel the planned activities in the park. Operation in the contest will still go ahead but from a private location. See further reports for updates. The Amateur Radio Experimenters Group is again entering the Oceania DX SSB Contest over the October long weekend (October 1st and 2nd). The club is once more mounting a major portable operation from Para Wirra Recreation Park. VK5ARG will be active on all bands from 160-10m during the contest using 5 QRO (high power) stations. As has been the case the last couple of years, the station construction will commence from Friday morning, with the aim of having the major components operational no later than midday Saturday. This provides an ideal opportunity for members, but more importantly general amateurs and members of the community, to come along and “have a try”. AREG will be turning the station over to all takers for the hours before the contest so that people can experience operating the station. To come and visit, you will need to head to Para Wirra Recreation Park, You will find us here. For those who pre-register, there will be catering available on a “Pay as you Go” basis for modest prices. The station will be active for the full 24hrs from 0800 UTC Saturday to 0800UTC Sunday. Visitors should call the station on 2m (146.550) when you reach the park. The station will be substantial with full size rotatable dipoles on 40m, a 3 element beam on 20m, a Spiderbeam for 15m and 10m and full size dipoles on 160m and 80m. All stations will be running 400W. 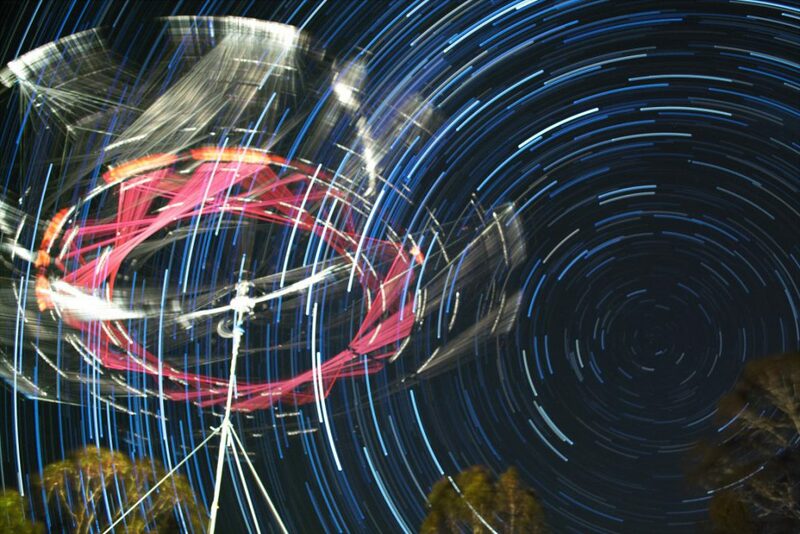 It is certainly impressive to see the arrays of antennas in use during the event…..
Back in May 2016, the Para Wirra Recreation Park was redesignated a conservation park, and so it now qualifies for the world wide flora and fauna awards program as well. As the station is operating in the OCDX contest we wont be conducting the usual publicity of a parks activations. 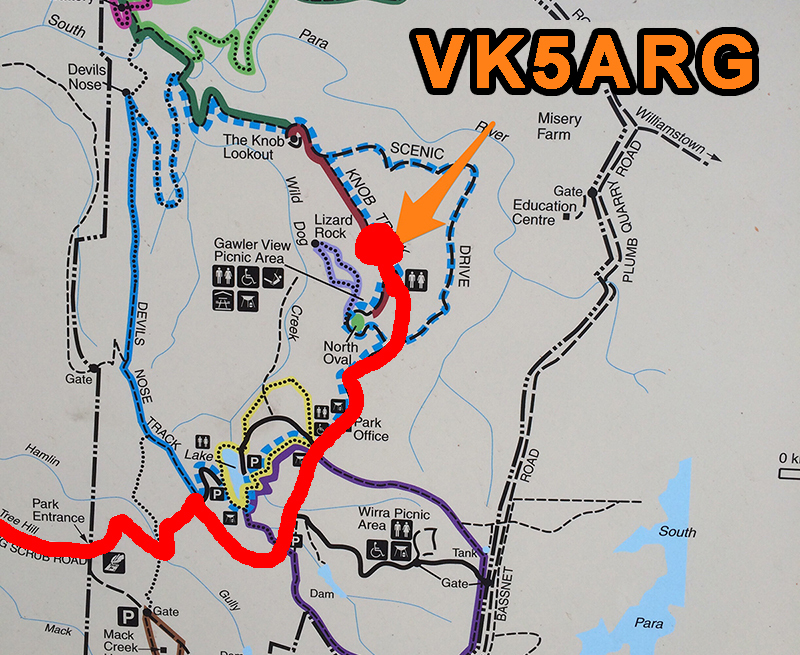 However, contacts with VK5ARG/P will still qualify for the VKFF-1739 park! We will ensure the log is uploaded to the Parks and Peaks database at the conclusion of the activation. You may also find us on air testing from as early as Friday night through to Sunday night. So look out for us calling CQ during the contest, and if you are in the Adelaide area, come on up to Para Wirra Conservation Park and say hello! We would love to see you! This entry was posted in Contesting, VK5ARG On The Air by VK5GR. Bookmark the permalink.